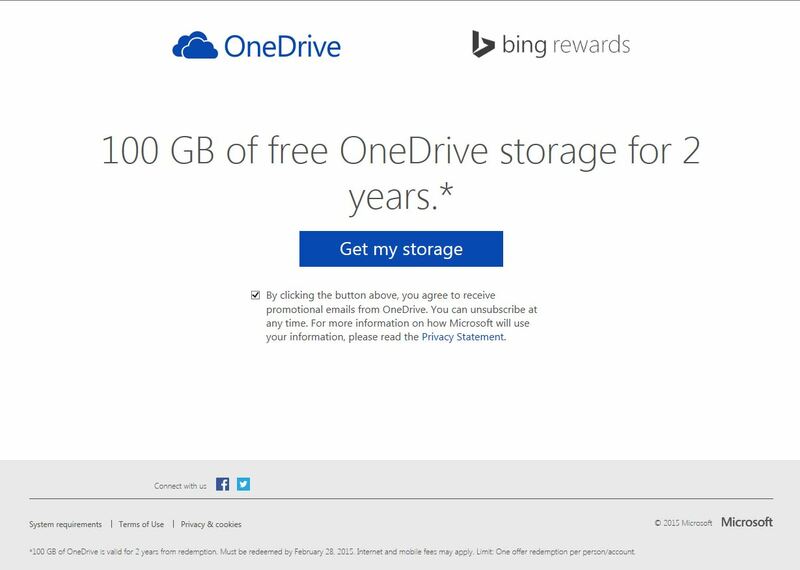 Microsoft is feeling generous today as they are giving away 100 Gigabytes of OneDrive storage for up to 2 years for FREE. What’s the catch? 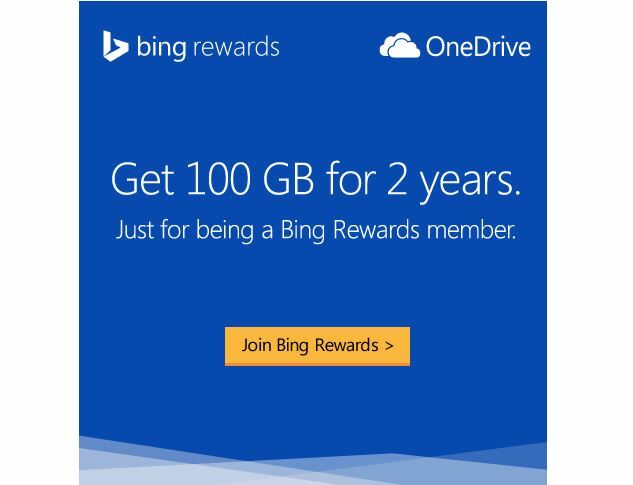 Well….you have to sign up for Bing Rewards or be an existing Bing Rewards user and Bing Rewards is only available in the United States at the moment. General requirements for program participation. The Program is open to users who reside in the fifty (50) United States or the District of Columbia and who are at least thirteen (13) years of age and is void where prohibited by law. If you are in the US or DoC, getting your 100GB of storage is simple and there are many paths that will lead you to receiving your free storage. Click “Try it now, FREE” and follow the instructions. 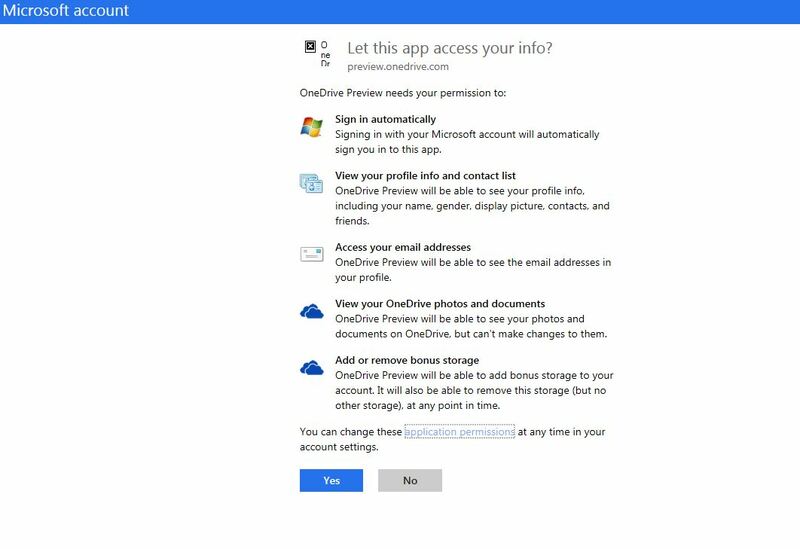 Click Yes if you agree to give OneDrive the permissions listed. After clicking Yes, you should then get a nice looking confirmation page! 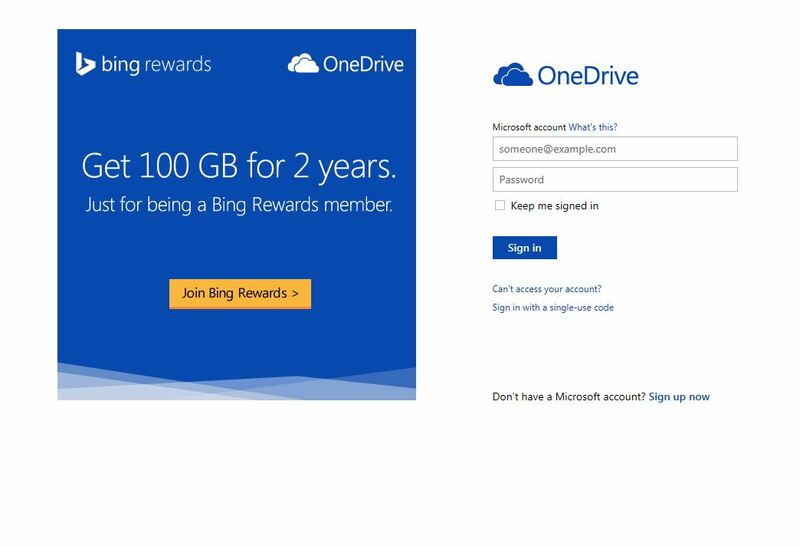 The free 100GB is in addition to the default free 15GB and the additional Free 15GB for enabling Automatic Camera Roll Uploads To OneDrive from your device or any other free storage offers. My various accounts now have 130GB. What I love about OneDrive is that you can access OneDrive from any operating system that has a web browser of the OneDrive apps built for Windows Phone, iOS, Adroid, Windows 7/8x/10 and so forth. The integration is great, the uploads and syncing are almost instantaneous once completed and best of all, it is super easy to get AT LEAST 30GB of storage even if you are not in the US. 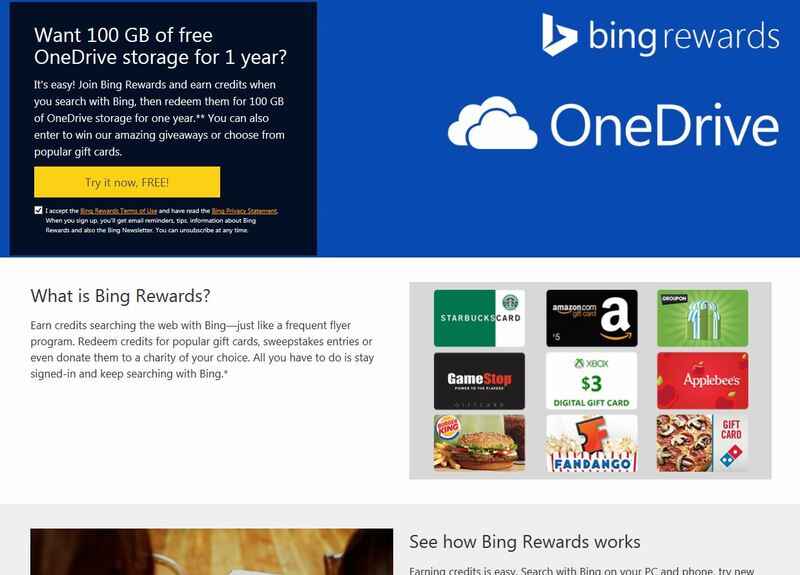 I hope Microsoft opens Bing Rewards to more countries in the future. 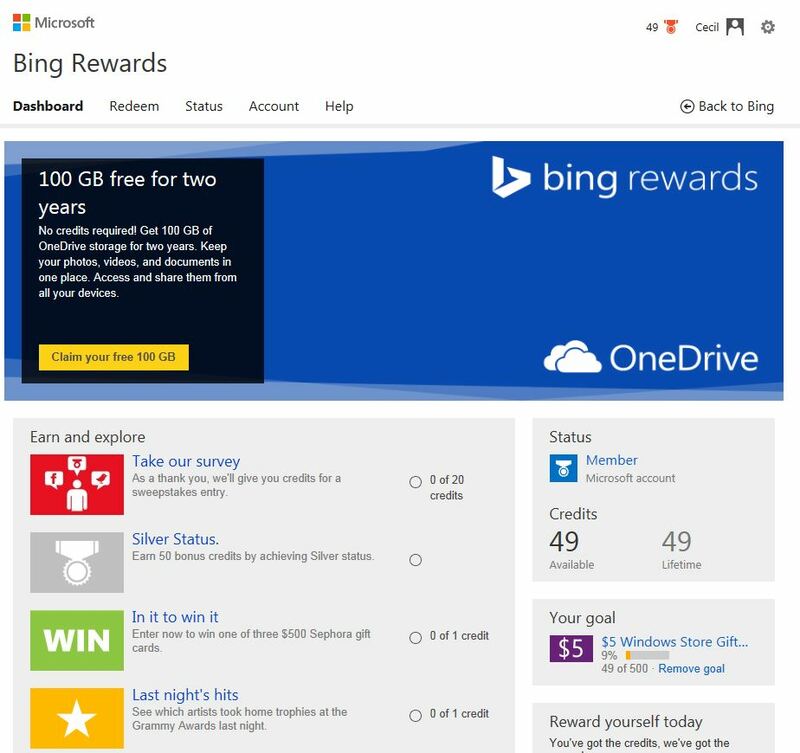 I have earned about $100 using Bing Rewards and have used the points to buy Microsoft Store cards, putting the digital money right back into the Microsoft ecosystem with Windows Phone app purchases, music purchases and even buying Xbox One games. What are your thoughts on Bing Rewards? 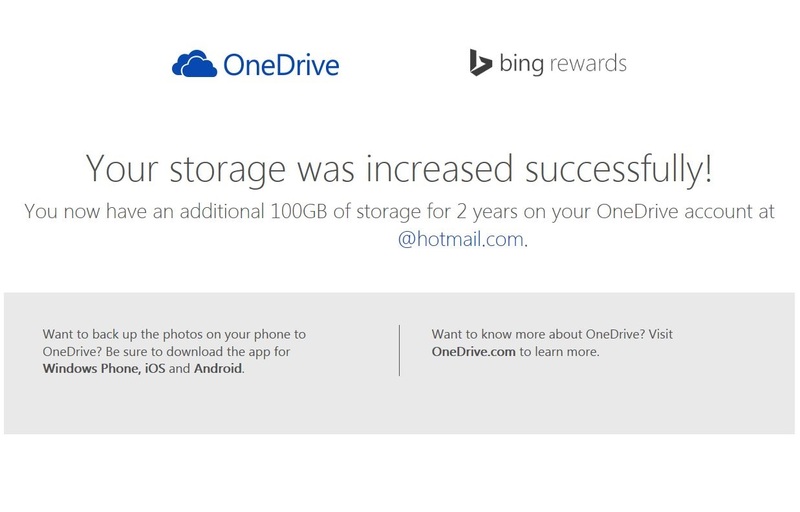 Do you use OneDrive? Are you looking forward to the deeper integration of OneDrive as the core of the Windows 10 account synchronization (settings, apps, games, backups and more)? As always, thank you for choosing MyNokiaBlog!